I love baked goods but I am definitely not a baker. My cooking specialties lie in making food for meals. I recently found a company called Cherryvale Farms which sells mixes for different baked goods. For my review, I was sent apple streusel muffin mix, blueberry muffin, brownies and cornbread mix. My sister came over on Sunday night to watch the Olympics closing ceremony. 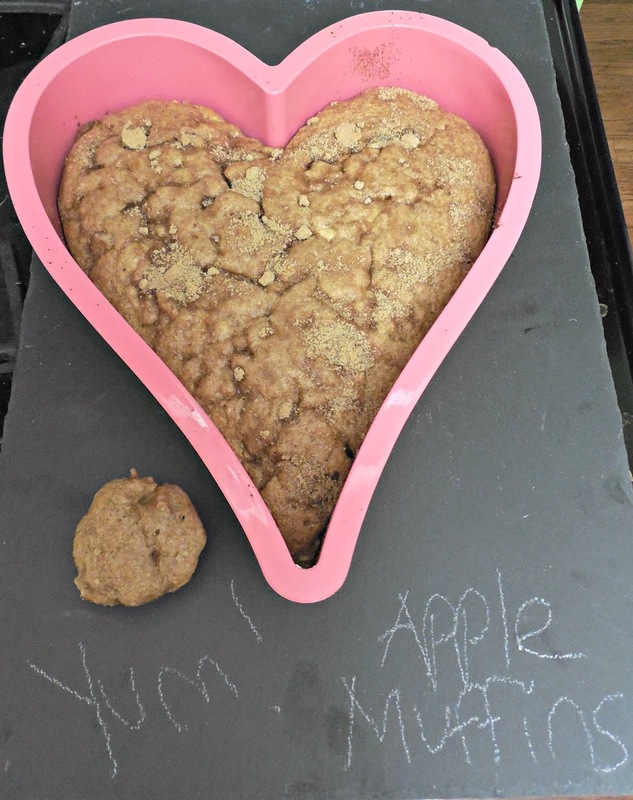 Before it started, we decided to cook up the apple streusel muffins. The mix requires you to add your own apples and oil. To make the recipe healthier, I skipped all of the oil and used unsweetened applesauce instead. It turned out perfectly and did not seem like it was lacking the oil. 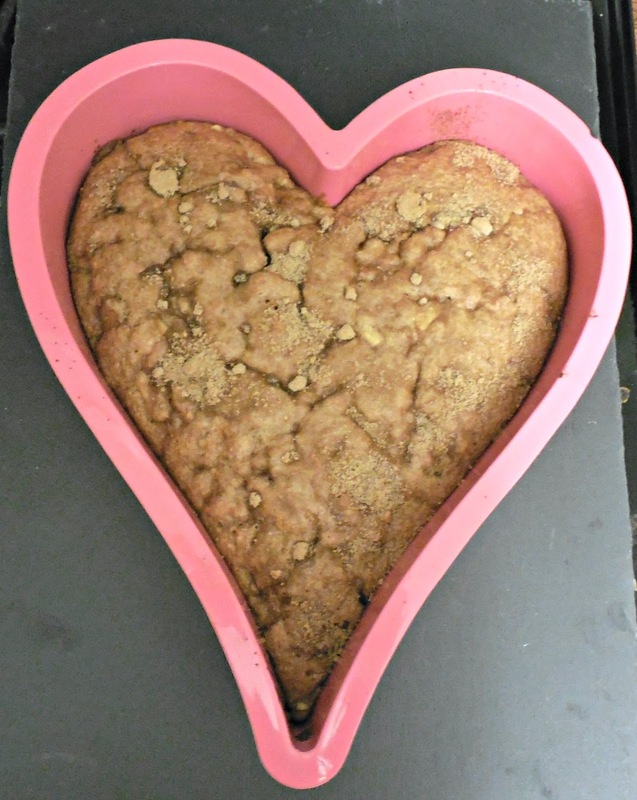 We made the mix into little muffins as well as a loaf of heart shaped bread. I loved having the fresh apples in there- just make sure you have some on hand if you want to make this mix. The bread was so moist and my sister and I definitely ate way too much of it- it was addictive! The streusel topping was sweet and delicious. The muffins did not need anything on them such as butter to make them taste good. They made great leftovers for the next few days as well. The ingredients include organic unbleached wheat flour, sugar, brown sugar, egg powder, baking powder, vanilla powder, cinnamon, salt, baking soda, nutmeg, ginger and cloves. No funky ingredients in these! Just the necessary baking ingredients. These are not whole grain and are fairly high in sugar but I just treat them as a dessert. I can’t wait to try the other flavors. I will swap out the oil in those too. My sister and I both really loved the Cherryvale Farms apple streusel muffins. The giveaway will be for three Cherryvale Farms mixes of the winner’s choice. I would love to try the PUMPKIN SPICE BREAD MIX! Everything But The Pumpkin Spice Bread Mix looks the best to me. I want to try the blueberry muffin mix!